In order for the Constitution to go into effect, 9 of the 13 states needed to ratify it. The first state to ratify the Constitution was Delaware on December 7, 1787. The last state was Rhode Island in May of 1790. 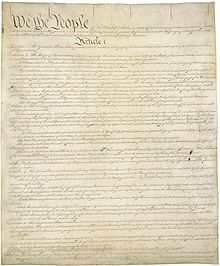 Read about George Washington and Constitutional Convention.